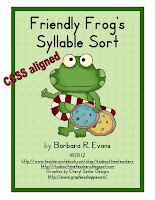 As we all pull out our February files and begin preparing centers for the plethora of special topics in that month, I thought I would share about my syllables center for Valentine's Day. 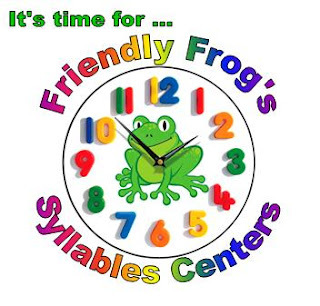 Friendly Frog is my students' syllabication friend. 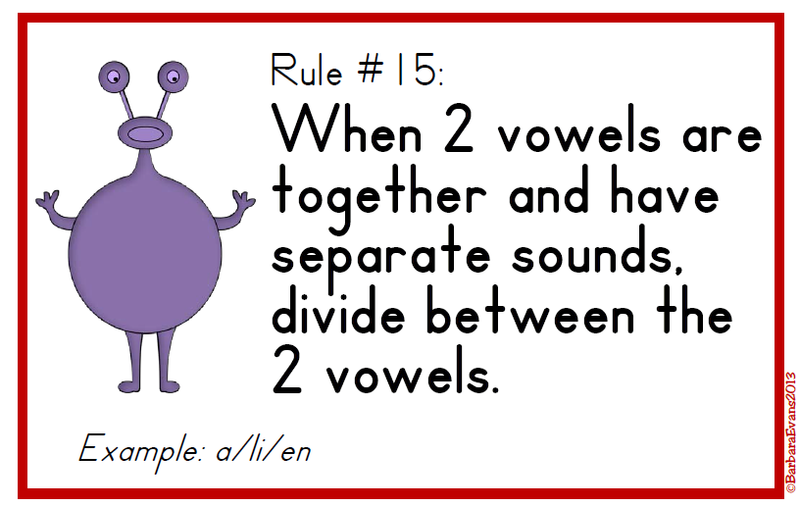 He appears frequently in our centers, helping everyone learn the somewhat tricky rules for using syllabication skills in decoding and recording words. 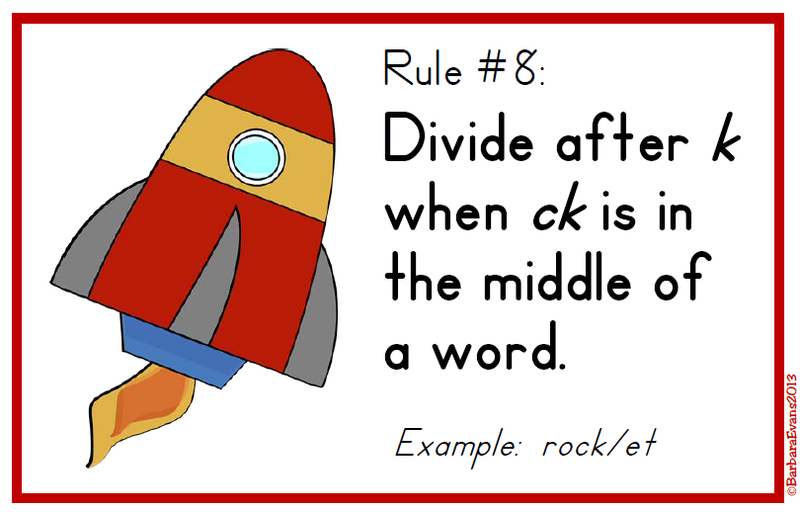 For Valentine's Day, he is helping my students to focus on prefixes and suffixes. Using these work mats, students sort Valentine cards. 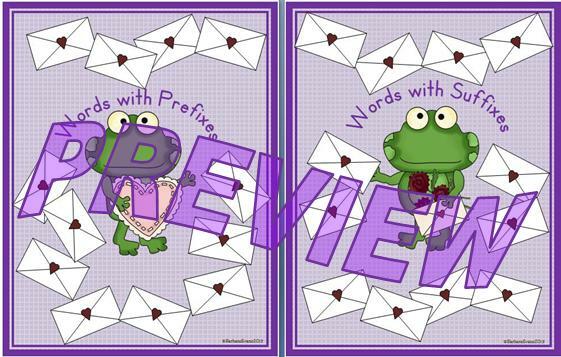 There are 24 cards and a recording sheet, as well as labels for the center folder. 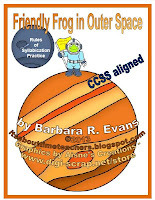 This activity is aligned with the CCSS and is most appropriate for grades 1 - 3. 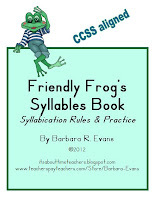 Did you know there are syllabication standards for EVERY elementary grade? There are! 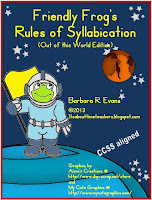 To help my class retain the syllabication rules, I have a permanent display of 16 rules. 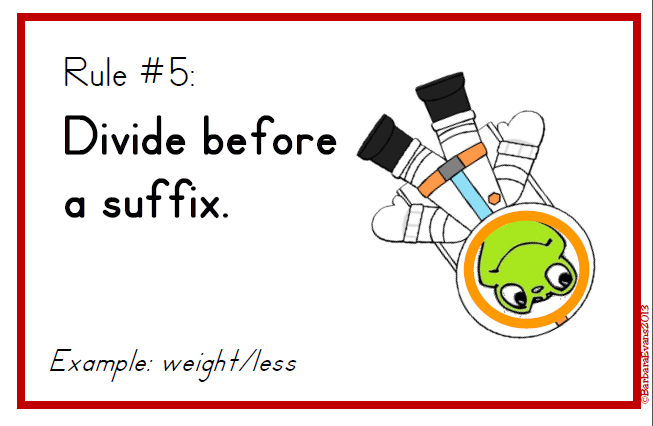 Naturally, they feature Friendly Frog and are available in Friendly Frog's Rules of Syllabication (Out of this World Edition). 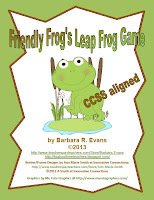 If you are interested in introducing Friendly Frog to your students, you can find these products in my TpT Store and my TN Shop. Try them. You'll like them.